I have joined with UNISON in celebrating school support staff by visiting Ysgol St Mary’s, Flint. 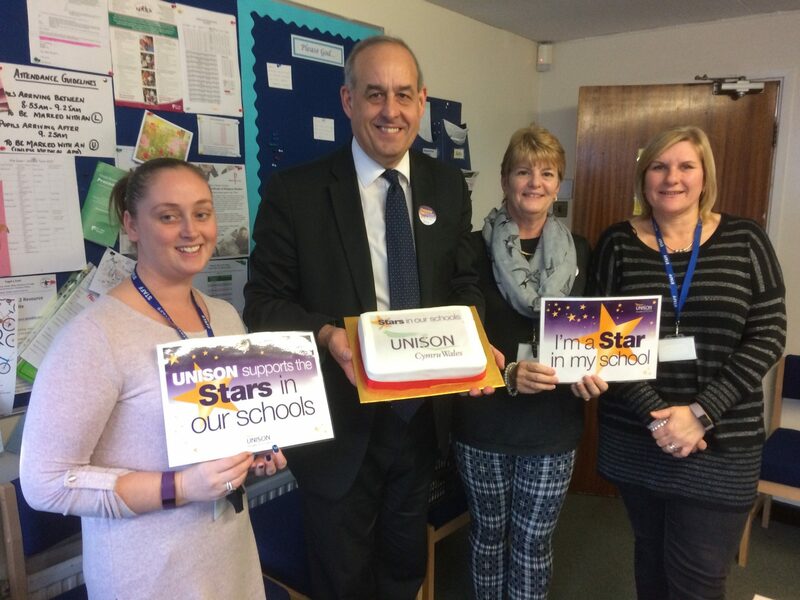 Schools across the UK will be holding award ceremonies, special assemblies, competitions and lunches to recognise the wonderful, and often overlooked, work done by school support staff and I was invited by UNISON to Ysgol St Mary’s to celebrate the work of their teaching assistants. Last year UNISON and schools organised celebrations for teaching assistants in hundreds of schools up and down the UK. This year they have extended the celebration to all school support staff – the unsung heroes of education – through a co-ordinated day of activity.